Mia holds master’s degrees in international economics and business from the University of Groningen in the Netherlands; agricultural economics from Reading University in the UK; and rural and agricultural development from the Institute of Social Studies in the Netherlands. She also holds an undergraduate degree in agricultural and resource economics from Bogor Agricultural University (Institut Pertanian Bogor). 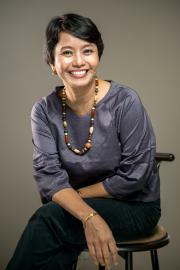 Prior to joining SMERU, Mia worked as a researcher for the Centre for Economic and Social Studies, Jakarta, a socioeconomist for the International Fund for Agricultural Development, Jakarta, and a micro-credit specialist for the 6th Sub-Project of Eastern Indonesia, Decentralization Development Planning, UNV-UNDP, Jakarta.